My computer has two users, and they are often logged onto X simultaneously. I am one of the users and I use compiz. The problem is that when I lock my screen and switch to other VT (using ctrl+alt+fN or Fast User Switch Applet), then back to mine I get a white screen instead of Gnome unlock dialog. However, the mouse pointer still exists and even changes to cursor-like when I point the area where password text box should be located. I am able then to enter my password (the screen remains completely white) and to press enter. After that I am returned to my desktop as if nothing has happened. I'm running Gutsy. compiz version is 1:0.6.0+git20071008-0ubuntu1.1. I have an nvidia video card with nvidia-glx-new 100.14.19+2.6.22.4-14.9 installed. Result : You get a white screen. You have to type your password and the white screen will disappears. I have tested and successfully reproduced this bug on two NVIDIA based computers (new and old) running Gutsy 7.10. I am quite surprised, before your post I was almost sure the bug resides in compiz itself. However, if someone with non-NVIDIA video card tests the bug presence and reports negative, we can reassign this bug to nvidia-glx and nvidia-glx-new or linux-restricted-modules. I have the same problem as well. I have an nVidia card. Just want to add my "confirmed" here: Three users on a nVIDIA-graphics based PC here with one (me) using compiz and getting a white screen when switching from a "normal" (Metacity) user to mine (not the other way around, though). All this is under Gutsy. I can confirm this on an nvidia geforce 4 mx 440, proprietary driver 9639. Same symptoms. I have two users, if I switch from one to another, the gnome screensaver window of the user (the one that is logged in after the first) is white. I've got a friend with an Intel card, I go to his house and test it sometime. I have exactly the same problem. My card is a Nvidia Fx 5500, propietary driver and Compiz Fusion enabled. I can confirm this on my PC with nVidia 6600GT, but it is _not_ reproducible on another one with Intel 945. So this is an NVIDIA bug indeed. Yes it is. I just tried to reproduce it on my friends Intel system and nothing happened. I just noticed that the lock screen window isn't the only one "buggy". It seems to happen with all windows that are opened while the particular VT is inactive (some kind of pop-ups for example, in my case - Skype Downloads window and various Gnome messages). The windows appear white and there is nothing where the title area and the borders should be (although, as it was with the lock screen, the window can be manipulated with the keyboard and mouse blindly). As far as I understand, compiz uses hardware-accelerated textures and overlays to draw windows. Hence it seems that a texture allocation/initialization fails with NVIDIA on inactive VTs for some reason. Based on this, I suggest a workaround for the bug. We must avoid window creation on inactive VT, so rather than just using Fast User Switch Applet one should lock the screen manually (ctrl+alt+L) and then use the Switch User button. Screensavers/time-based screen locking should be also turned off - use explicit lock instead. Fast User Switch Applet can also be configure not to lock the screen. * Fixed a problem with Compiz after VT-switching. I am using the nvidia-restricted drivers with compiz-fusion on Gutsy. I just dropped by to confirm the same bug on the same nVidia card (GeForce 6100, on-board), with proprietary driver and compiz. Fast User white out still present. I followed the bug report for the VT switch bug months ago and had no issue switching to and fron tty. Have also been running the beta 169.04 for compiz stability. Fixed several X rendering issues. Fixed stability problems with some GeForce 6200/7200/7300 GPUs multi-core/SMP systems. Fixed a problem with Compiz after VT-switching. Fixed a bug that caused corruption with redirected XV on GPUs without TurboCache support. Improved usability of NVIDIA-settings at lower resolutions like 1024x768 and 800x600. I had hoped all would be well. Same here, just confirming. I see this as a rather serious bug because for a "normal" user it can seem as a total crash. I know my girlfriend will be really annoyed about not being able to use a function as simpel as "Switch user". This is still happening with the 169.07 driver in hardy, updating package. Problem is still there in Hardy Alpha 4. I've got an nVidia 6200 Turbo Cache. Confirmed. We just need to wait for a fix from NVidia. I notice (not always) when changing users, and when returning from screen saver. * Improved power management support with GeForce 8 GPUs. * Further improved stability on some GeForce 8 GPUs. * Fixed a bug that broke certain TwinView configurations with TV-OUT on GeForce 8 GPUs. * Fixed a bug that could cause OpenGL to crash in certain cases, e.g. when running Counter-Strike under Wine. * Further improved GLX_EXT_texture_from_pixmap out-of-memory handling. * Fixed a bug that could result in incorrect PowerMizer state being reported. * Improved nvidia-xconfig behavior when updating X configuration files without a "Module" section. * Worked around a problem that caused function key presses on some Toshiba notebooks to result in system crashes. Is this "Further improved GLX_EXT_texture_from_pixmap out-of-memory handling" a fix for this bug? Did anyone test it? Does nvidia have a bug tracking system, in order to report this bug and track it? I asked nVidia the same question and they told me that their forum is their bug tracker. Dell already have a bug opened with Nvidia. Confirmed on Dell Inspiron E1505 with nVidia GeForce Go 7300 w/ 169.12 driver, Compiz Fusion enabled. I am currently using Gutsy. This issue is intermittent and appears only when the computer is coming out of suspend. I also can type in my password and everything will be fine. Confirmed on nVidia 8800gt/Hardy beta. Confirmed on nVidia 7600GS nvidia-glx-new/Hardy beta. Confirmed on nVidia 6200/Hardy Heron - Beta (Completely updated). Completely different bug with completely different symptoms and causes, that one ended up being fixed in the X server. If that bug was still present it would make this one a million times worse though. Michael, please fix this ASAP in Intrepid. Hi, I have tried the hardy-proposed fix and it seems to be working. If I have problems with this patch I will report it. This is fixed in intrepid now too. Actually the fix for the hardy package was uploaded a very long time ago (February). that's why this was marked as it was. Fix did not work for me (both patching Compiz manually and downloading Mario's debs). Running Hardy 64-bit with Compiz 0.7.4.
forgot to mention that I have installed the envy driver, 173.14.05 but it didn't help. Forgot to mention I'm running the nVidia 8800GTS with latest Asus firmware. I too exhibit this issue. I run an Nvidia card in a Dell Vostro 1400. -I've tried to Restricted Nvidia drivers and the EnvyNG 173.14.12 drivers with no difference. -If I manually kill compiz prior to Suspend I have a higher probability (1/2) of getting a normal wake-up with password field. -If I leave compiz running prior to Suspend I have a lower probability (~1/20) of getting a normal wake-up. -There is no difference between closing the lid and manually selecting shutdown & suspend. -Compiz will randomly crash while rotating screens, a manual restart works properly. -Restarting X (gnome) with CTRL-ALT-Backspace increases the frequency of Compiz freezing. -Upon wake up from Suspend, the taskbar is always frozen. My work around is opening Tomboy (which loads a taskbar icon) and then close it, after that the taskbar returns to normal operation. Hopefully this helps someone, I am very willing to do testing if anyone would like to guide me. i have ubuntu 8.10 and my problem with switching to guest user. This bug is not closed, it happens on intrepid ibex to. I found at least 4 diferents duplicates of this bug, old, very old, and this is still a problem on intrepid. So, is there any good workaround? I have an nvidia card and am running Ubuntu 8.10. I also have this bug. What I've found though is that the screen renders white -but my system doesn't crash. In fact, if I enter my password, I log back into my account and everything is totally fine: no rendering problems, no functionality issues. I've come to the conclusion that this is a rendering bug that renders all content (but the cursor) as white. When I enter my password (since the password input field has focus by default), the screen fades to normal from white. Additionally, I'd like to note that when I switch to ANOTHER user (i.e. User2 [myself being User1]), I'm able to see the login window with a black background. 1. 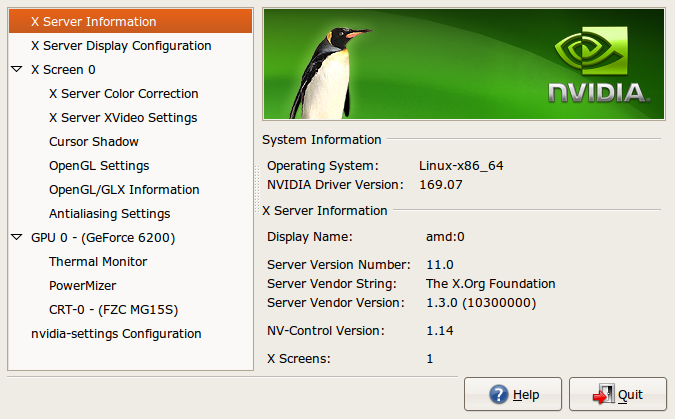 Install Ubuntu 8.10 on a system with nvidia hardware. Enable compize/desktop effects. 2. create a secondary user account. 3.a switch from User1 to User2 (fast-user-switching). 3.b when switching to User2, you'll be prompted for a password within the standard GDM login. 4. once logged in, switch back to User1. do NOT log out. 5. the screen blanks to white, type in your password and hit Enter. 6. you should see User1's desktop. 7. switch back to User2 and this time the "locked screen" login is visible. Black background with visible dialog (borderless). - from this point forward, performing these actions will return the same results. Perhaps this is a permissions issue with rendering? Just a thought. User2 is just a regular user without any administrative privileges. Both users have desktop effects enabled. If a developer would like to contact me with further questions please send them to patryk at digital dash evolutions dot com. Would love to have this fixed. I just tried locking my screen as User1. The screen-saver started running. I hit ESC to exit the screen-saver and log back in. I was prompted with the standard unlock login prompt (no white screen). At this screen I chose "Switch User" instead of logging in. I was prompted through the GDM login screen for a username and password. I entered User2 / password and was dropped into User2's desktop immediately (as if I had switched users; i.e. it didn't login a new User2 session, but rather switched me to User2 --this all seems correct). At this point I switched back to User1 and was prompted with User1's unlock screen --NOT the white screen. I was able to unlock the screen with User1's password and was back to User1's desktop. My reason for mentioning this is because it seems that when I went from the unlock screen (where U1's screen was locked), I was able to return without the white screen. When I go directly from my desktop and switch users, I return to the white screen. I'm hoping that this will help to isolate the offending code. To tie this into the permissions idea; the locked screen prompt is publicly visible, while my desktop isn't. ?? M'eh. Just a thought. Anyway, I hope this helps shed some light. If I switch users and insert mdia or do som other action that causes a popup on my original desktop and then switch back and unlck, thn on that desktop I see some pure white windows slightly largr than what the popup window would be. I can only get rid f these winds using the brokn-window killer. prompted with the standard unlock login prompt (no white screen). with User1's password and was back to User1's desktop. publicly visible, while my desktop isn't. ?? M'eh. Just a thought. Anyway, I hope this helps shed some light. I don't think this bug has much to do with compiz or nvidia. I have the same bug on my 8.04, on a ThinkPad X60s, with xserver-xorg-video-intel. What I found is that the bug can be reproduced simply by starting X (no gnome, no compiz, nothing) on two terminals like: X :0 vt7 and X :1 vt9. Now, when I switch to vt7, I see the blank screen with the cursor. However, if I start a third X server with X :2 vt10, I can switch between the second and the third one (vt9 and vt10). So now, if I stop gdm, start one 'placeholder' X on vt7, then start gdm, I can work normally and do fast user switching from gnome, as only the first, 'dummy' X server is broken. This appears to have regressed somewhat in Jaunty. I now get the white screen again when switching users, much like what happened before . I am also experiencing this again in Jaunty. I can confirm that this is present again in Jaunty. This bug should probably be reopened, since it happens on a default Jaunty install. choose "preferences", uncheck "Lock screen after switching users"
May be related: I don't think this bug ever went away fully. If new windows popup while switched to another user, thn whn I switch backand unlock, each popped-up new window is white and slightly bigger than it should be. I *cannot* confirm the bug on jaunty. I use nvidia-glx-180 (version 180.37-0ubuntu1) with a 9600GT and compiz (and of course gnome-screensaver). I think this problem is restricted to 7xxx and 8xxx, if I remember correctly. I can verify the bug is still in Jaunty. Using NVidia driver version 180.44 (recommended driver) on a GEForce Go 7900 GS with Compiz enabled. I used Savvas Radevic's fix as a workaround & it works but at the cost of disabling screen savers. I'm closing this bug as believed fixed. If anyone is still seeing this symptom on lucid I would recommend filing new bugs against nvidia-graphics-drivers, as this bug report has gotten far too lengthy already. I use 10.04 with ATI drivers and have experienced this bug - what package should I report it as because I do not use Nvidia hardware? > package should I report it as because I do not use Nvidia hardware? Is this still an issue for you? What Ubuntu version do you use? Thank you for telling us! year. Have no access to a computer to check the exact version. > you for telling us! > duplicate bug report (112518). I used to have this issue but have not experienced it for years. Currently running a clean install of 12.10 with the recommended nvidia driver (304.51) with no problems. Switching between users works perfectly well in Ubuntu 12.10. I tested both the guest-account and a second user account, and fast-user-switching from the applet works well. The display flashes couple of time due to mode change, but the up-coming Wayland display manager will fix that too. I just can't wait for Wayland display manager. contents of a window painted completely white on unminimize. > duplicate bug report (224448). > duplicate bug report (234824). 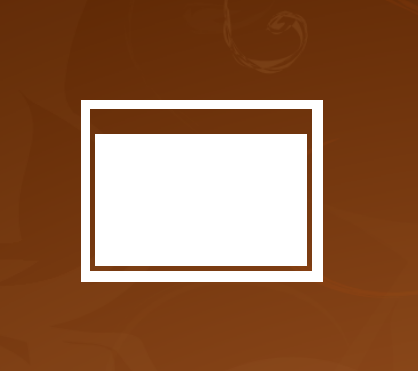 Vadim: White windows is bug 729979. Displaying first 40 and last 40 comments. View all 159 comments or add a comment.